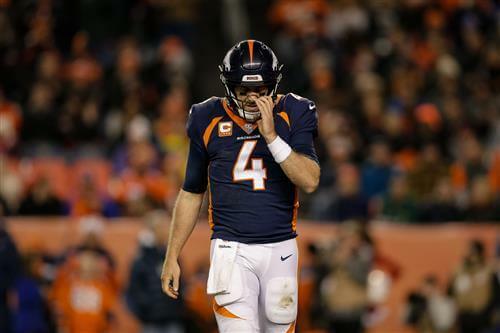 Case Keenum did not appear to be the answer the Denver Broncos were looking for at quarterback last season, and president of football operations John Elway will likely explore new options at the position once again heading into 2019. That does not, however, mean Keenum has played his last snap in Denver. Keenum signed a two-year, $36 million contract with the Broncos last offseason. He struggled to protect the football in his first year with the team, throwing 15 interceptions compared to just 18 touchdowns and fumbling a whopping eight times. Despite that, Nicki Jhabvala of The Athletic believes he is likely to remain Denver’s starter next season. While there should be some solid veteran options available like Nick Foles, Joe Flacco and Teddy Bridgewater, the Broncos would have to eat $10 million if they cut or trade Keenum. Jhabvala also notes that Denver has hired a new offensive coaching staff led by offensive coordinator Rich Scangarello, so they could give Keenum another year in a new system.